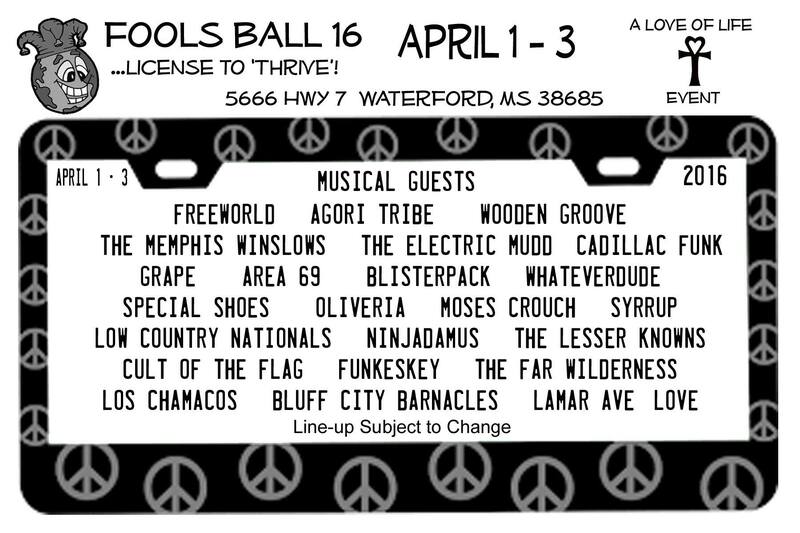 After the recent announcement of their opening set for Twiddle, Agori Tribe announces another Spring heater in the form of their return to the Waterford, MS festival Fools Ball. Agori Tribe will be ragin’ alongside fellow Memphis bands Freeworld, Funkeskey, Syrrup and more, as well as lots of great talent from around the Tri-State area. Please head to the Event Page or follow Fools Ball on Facebook for time slots and other announcements. This entry was posted in Agori Tribe, Festivals, Just Announced and tagged Agori Tribe, Concert, Featured, Festival, Festival Season, Fools Ball, Freeworld, Funkeskey, Live Music, Mississippi, MS, Progressive Rock, Psychedelic Rock, Rock, Rock & Roll, Syrrup, Waterford.